As artificial intelligence becomes more en-grained in day-to-day business processes, how can you ensure your company is taking full advantage of AI? In this three-part article series below, we explore the opportunities, challenges and what success looks like when utilising AI. The ability to save time and money through the automation of routine tasks. The ability to make faster decisions based on data outputs. The ability to predict customer preferences and personalise their experience with the brand. Given these benefits, it’s little wonder that the CAGR on AI investment will be 37.3 percent – one of the highest rates of growth across all technology. And yet, another prediction (this time from Gartner) is that 85 percent of AI projects will fail to deliver for the CIO2 . There’s a sense that organisations are seeing the hype behind AI and are simply throwing money at it without really understanding what AI is, and how to achieve the ideal outcomes from it. They (the CIO) are not sure how to make AI solutions “work” and the benefits they can derive from them. Many organisations lack the robust IT infrastructure necessary for the most advanced modern technology solutions (of which AI is one example). The transformation projects that are often required of an organisation before adopting AI are, themselves, difficult to successfully complete. AI solutions are resource-hungry, and many organisations under-estimate just how draining an AI solution can be on the infrastructure. In order to meet these challenges posed by AI, one of the first necessary steps is in ensuring that the platform is robust, and tailored towards managing the unique demands of AI. Organisations that want to invest in AI and associated technologies (such as blockchain, big data and analytics – all important to an AI implementation) need infrastructure that is capable of handling data intensive workloads. High performance, with speeds of up to 1.5x the performance of POWER8 processors. This is necessary to handle the huge data sets that AI applications need to manage in real time. Twice the compute resource per socket, meaning that POWER9 maximises efficiency. Extreme I/O chip processor performance, which minimises latency and accelerates the bandwidth. Reliability. AI becomes a core part of an organisations technology strategy, and IBM servers have been given the all-important “better than five nines” uptime rating with ITIC for ten years straight. Organisations can then layer IBM’s software solution, PowerAI over the top of the POWER9 servers, with PowerAI providing enterprises the necessary functionality to deliver successful AI solutions more quickly. The speed with which AI can be deployed through POWER9 servers and PowerAI means that CIOs will start to see results, and develop a clearer vision for AI, more quickly. The support provided by IBM will also help in ensuring the success of the rollout, and the open platform that PowerAI runs on also means that enterprises have flexibility in how they approach AI solutions. AI is incredibly demanding on technology infrastructure, and having the wrong technology in place is the underlying reason that so many attempts at AI implementation fail. 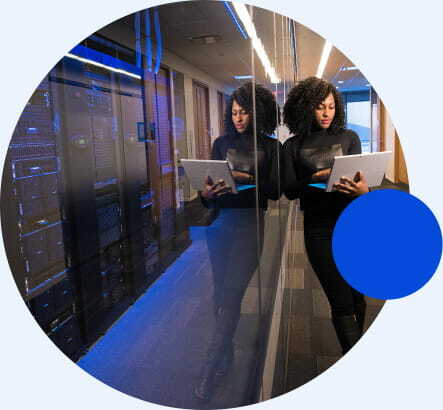 For reliability, sheer power, and the all-important scalability and cloud readiness, IBM’s Power Systems has the proven heritage in helping enterprises capitalise on the opportunities presented by AI. 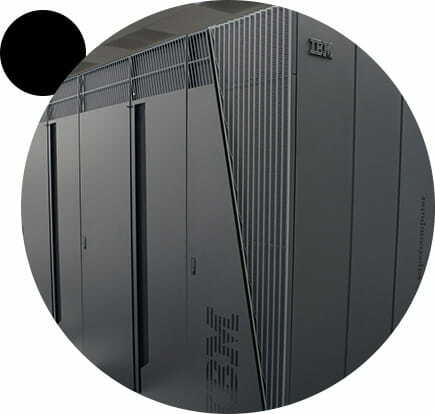 For more information on AI and IBM Power Systems, click here. As we highlighted in the previous article on the challenge and opportunity of AI in the enterprise, AI is a major opportunity for businesses to realise greater productivity and efficiency, and to leverage data insights to drive better engagement with the customer. Because these benefits are so core to a modern, successful business, AI is expected to grow at 37.3 per cent CAGR, demonstrating just how much hype is behind the technology. AI is software-driven, but it’s not a software solution in itself. Having the right hardware is important in ensuring that you can work with AI applications efficiently and effectively. Take memory as an example. With many AI applications, data scientists need to make large trade offs in the size of the data set that they can utilise, as they’re limited by the 16 or 32GB memory limited of the GPUs. However, technology innovation is finally freeing data experts from this challenge. IBM’s PowerAI solution features a unique NVIDIA NVLink connection between CPU and GPU, allowing for entire data sets to be loaded into system memory before being cached to the GPU for action. Solutions such as this help companies make the most of their AI investment. As another example of how technology innovation is enabling more robust AI applications, IBM Power Systems, which feature POWER9 cores, have been designed specifically around handling large data workloads, offering a critical 1.5x performance improvement and 2x more memory when compared with POWER8, as well as 1.8x more memory bandwidth per socket compared to x86. Understand your needs first: AI is too significant of an investment, and requires too much customisation for the specific needs of the organisation, to simply adopt a one-size-fits-all approach. A CIO and IT team should approach an AI project with a fully articulated vision from the outset. This means determining both the current and expected future capacity requirements for the organisation, and from there structuring a highly scalable solution that can continue to meet those requirements as they expand. Look to the cloud: Leveraging the compute capabilities of the cloud is a common solution for AI, and there are numerous ways to approach the cloud with on-, off-, and hybrid cloud solutions. Investigate the benefits of all approaches as part of the digital transformation project, with AI as the end-goal. Be bold: AI is a disruptive technology and as with all disruption, those that are positive and willing to get on the front foot, fail fast, and learn from mistakes, are those that will end up in leadership positions with the technology. Reskill the workforce: Following the implementation of AI, many tasks within the organisation will shift from humans, to the AI. Rather than allow staff to become disenfranchised as a result, be sure re-skill staff so they can move higher up the chain. Understand that AI is a solution built on the top of a successful digital transformation: It’s important to get the order of implementation right; digital transformation should come first (with IT infrastructure such as IBM Power Systems at the core), in order to ensure that the underlying infrastructure has the structure, capacity and agility to handle advanced applications, and then AI solutions over the top. Making an investment in AI without having capable systems first will be a waste. Making the most of an AI investment involves bringing together the right technology, and the right implementation strategy. As Gartner research shows, currently 85 per cent of CIOs are not getting the returns they expected from their AI investments. CIOs know they want AI, but a lack of clarity in the implementation strategy often leads to the wrong technologies being rolled out, or technology going underutilised. 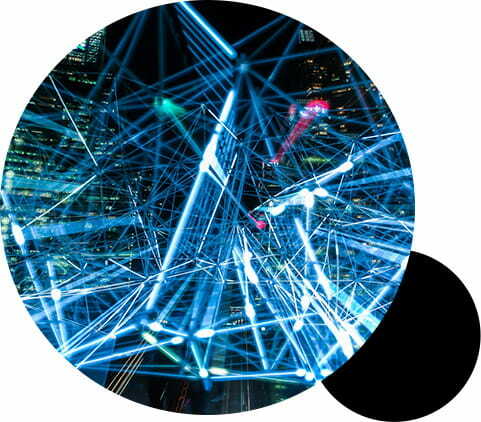 Leveraging leading, AI-focused technology, such as IBM Power9 and PowerAI, is critical in properly realising and articulating the value of AI to the organisation. For more information on IBM Power Systems and PowerAI, click here. As we have seen in previous articles, AI is a new and innovative frontier for technology. It is challenging for enterprises to implement and manage, but the demand is there, and AI will increasingly become a focus for investment as organisations look for competitive differentiation. Indeed, some businesses are already taking leadership positions by adopting robust and agile infrastructure that specifically targets AI as the outcome. Elinar is an enterprise from Finland that specialises in helping organisations to manage and capitalise on their data. It provides its clients with unstructured Big Data solutions, and to drive better outcomes for its clients, it turned to AI to better manage large amounts of data. To cope with the large datasets, Elinar rolled out a solution that included IBM Power Systems and the IBM PowerAI toolset. Through this, the company was able to double the performance of its x86 platforms, delivering new solutions to market far more rapidly, and significantly improve the productivity of its developers. The solution was put to immediate good effect. In 2016, the European Union brought in the GDPR (General Data Protection Regulation) laws, which forced all companies doing business in the EU to substantially tighten their data retention and protection policies. Through the new, AI-capable solution, Elinar was able to automate the regulatory process for its customers, which also helped it to win new business and save it – and its customers – significant time and energy. One of the greatest features of AI is in how versatile it can be, and how it can be applied to a very wide range of applications, which makes it an ideal solution for a wide range of initiatives designed to enhance a company’s productivity and efficiency. For more information on IBM AI solutions, and how they can benefit your business, click here.